In the face of heat and hindrance, the No. 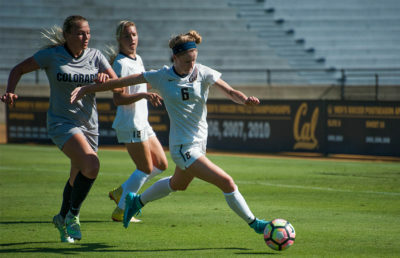 24 Cal women’s soccer team (5-1) left Sacramento State (3-3) with a golden goal win in its first overtime game of the season. The match started off strong on both sides as the Bears and the Hornets competed for every ball. Cal’s first shot on goal was by redshirt senior Kelly Fitzgerald, who scored on the teams’ first corner but was ruled offside. Junior Miranda Nild was relentless, taking shot after shot and working hard across the field. But all the energy came to a crashing halt in the 35th minute, when Sacramento State took the lead, scoring on a play resulting from a free kick. Despite the setback, the Bears continued to work hard. Multiple shots were taken in the remainder of the half, but none were able to make it into the back of the net. Cal retreated into the locker room trailing at halftime for only the second time this season. 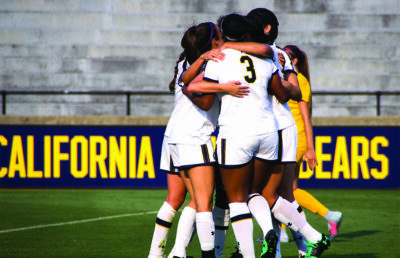 From the minute the Bears stepped onto the pitch in the second half, though, they controlled the game. Many players had shots, including sophomore Abi Kim, freshman Emma Westin, redshirt sophomore Anja Koehler and Fitzgerald, but none found the goal. While Cal controlled possession and dominated all over the field, an equalizer was yet to be found. As the end of the game neared, the Bears started getting restless. Just as all hope was thought to be lost, Nild managed to tie the score with a well-placed strike in the 86th minute and brought Cal back into the game. The tie, maintained until the 90th minute, sent the game into golden goal overtime, which extended the match an extra 20 minutes or until one team scored. 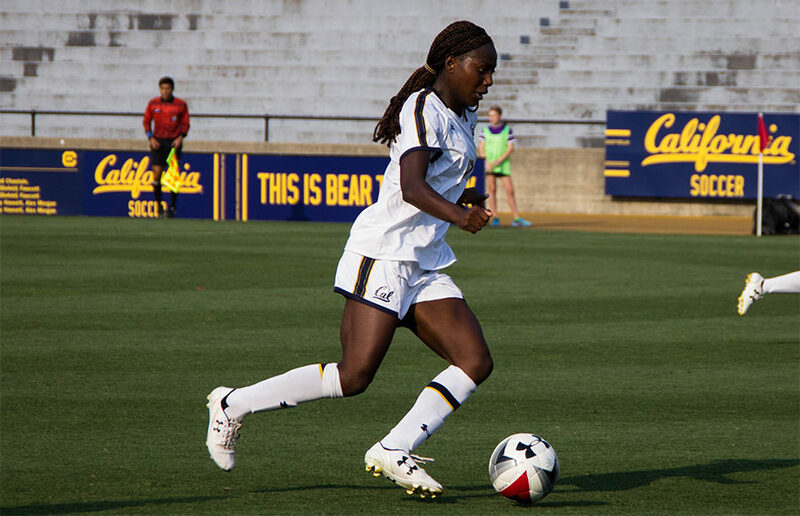 Both the Bears and the Hornets had favorable opportunities in overtime, but nothing came from them until the 104th minute, when Kim found the back of the net and pulled Cal through for its third win in a row. Cal outshot Sacramento State 18-9, and senior goalkeeper Emily Boyd made four impressive saves throughout the game. Nild and Fitzgerald led the team with four and three shots, respectively. Even though the Bears weren’t able to get a shutout, coming away from that game with a win was proof that this team has what it takes to go far. With this level of stamina and confidence this early in the season, Cal is on track for an exciting fall and playoff run.